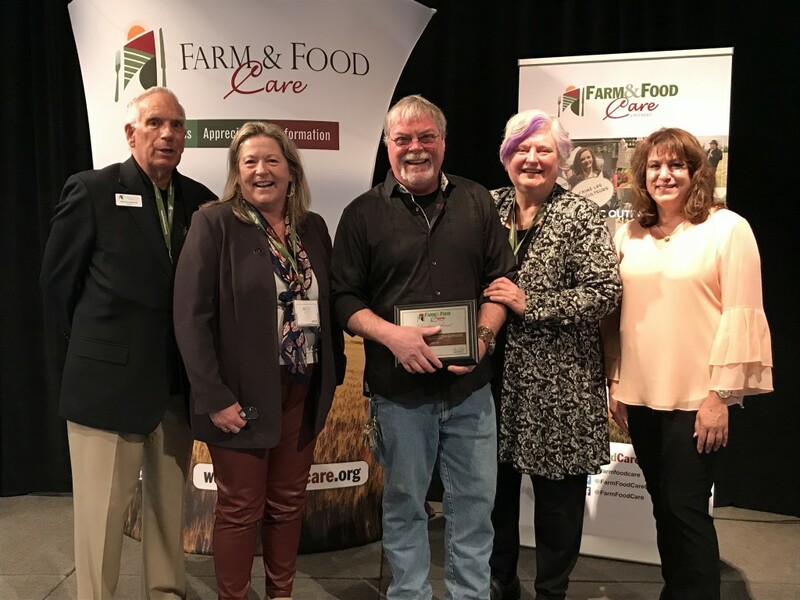 Congratulations to Durham Farm Connections, Farmer Tim, and Jamie Reaume, who were each celebrated with Champion Awards at Farm & Food Care Ontario’s annual conference last week, recognizing their significant contributions and commitment to Ontario’s farming community and agricultural advocacy. As distance between farming and non-farming communities continues to grow, these three recipients have been making significant strides to bridge that problematic gap. For over two decades now, Jamie Reaume has been respected in the province as a vigorous agri-food advocate, in the field and at the policy level. We can think of no one more deserving for such recognition; Jamie was a past Chair of the Golden Horseshoe Food and Farming Alliance, lending his determination and invaluable experience to help guide our Action Plan forward. Jamie was the founder and former Executive Director of the Holland Marsh Growers’ Association—he was also the one to bestow on the Marsh the title of Canada’s “salad bowl.” Under his leadership, the association released the award-winning documentary, The Marsh Muckers’ Tale. Jamie is now the CEO at Country Heritage Park in Milton, where he has revitalized the 80-acre park into a farming and food education and appreciation centre, that has now seen over 12,000 elementary and high school students come to participate in programs related to food literacy, outdoor education, sustainability, environmental awareness and more. “His approach is to always engage and inform [people] about our food, where it comes from, and its economic importance, while promoting farming in this province,” shares Susan Powell, Artist and Economic Development Funding Strategist with Halton Region, in the news release. Durham Farm Connections, made up of volunteer agricultural producers and industry stakeholders, has taken pride in providing agriculture education and awareness for farm and non‐farm communities since 2006. One of their most popular initiatives brings over 1,200 grade 3 students to a local farm to learn from local farmers at various demonstrations. For Canada 150 last year, they honoured Durham’s agricultural heritage by recognizing families and organizations that have been farming in the area for over 150 years. Check out the Durham Farm Connections website here for information on upcoming events. Farmer Tim May, a dairy farmer from Rockwood, received three separate award nominations this year for his impactful and engaging social media presence, where he is working hard to share an authentic Ontario farm story, with accurate information about farm life. His “udder” success in growing an impressive online audience underscores the hunger for food and farm education, from the farmers themselves. Be sure to check out Farmer Tim’s Twitter and Facebook pages, and his blog here. Congratulations to all 3 deserving recipients, and to Farm & Food Care for another successful event. 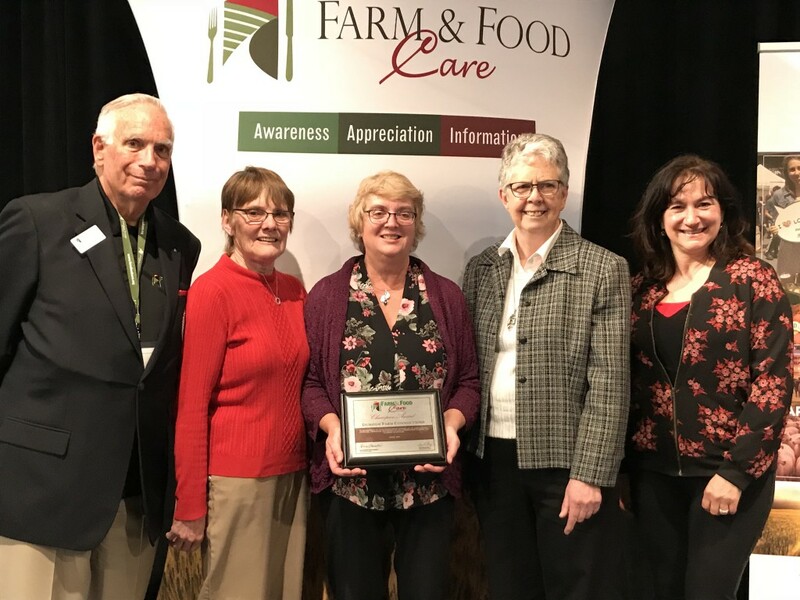 This year’s Farm & Food Care awards saw a record number of nominations, indicating an exciting, thriving interest among the agricultural community for public outreach! Bravo.